Fall is on the way. Although we’re sad to see summer go, we can’t wait for the aromas of pumpkin pie, the crunch of leaves under our feet and all the beautiful colors of fall. As this new season arrives, there’s no better time to be inspired by the latest seasonal apartment decorating trends. Let’s take a look at some of the most sought-after designs! Autumn is known for its bright hues of yellow, orange and red. As noted by HGTV, colors and contrast are giving way to neutrals this season. Going colorless provides the opportunity to really experiment with rich textures and fun shapes. And layering similar neutral tones on top of each other is an easy way to let your creativity flow! Nothing says fall like pumpkin – whether it’s the mounds of pumpkins outside the stores or the pumpkin spice lattes brewing in our favorite coffee houses. But did you know pumpkins are an easy item to use for decorating? 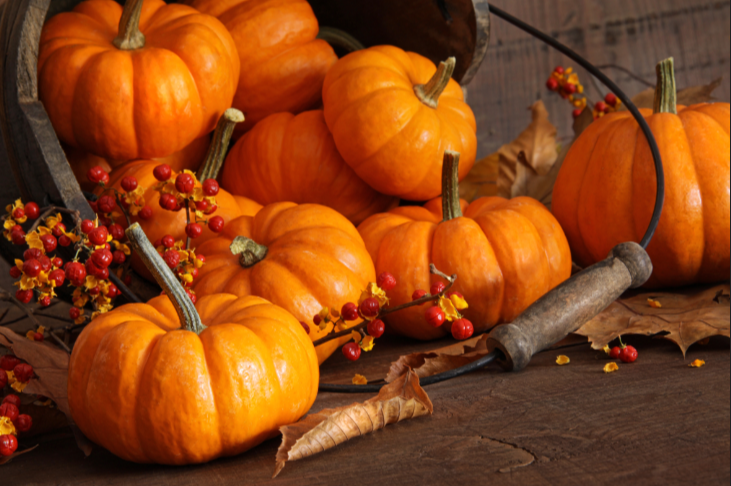 Country Living says that you can incorporate a pumpkin as a centerpiece at your next gathering. Try adding a lace doily to brighten it up or decorate it with fall foliage. The décor possibilities are endless! Chunky sweaters. Cozy scarves. Big coats. Autumn is known for its oversized fashion items and the trend is also inspiring home and apartment décor. This fall you can expect to see oversized everything! Make your apartment or home feel extra cozy with chunky knit blankets and pillows, large comfy chairs and super-sized wall-art. It’s how you live that matters and love being able to provide you with simple yet beautiful décor inspirations for your apartment in Beaufort, SC. We hope these ideas will help you make the most of the season and feel more at home.